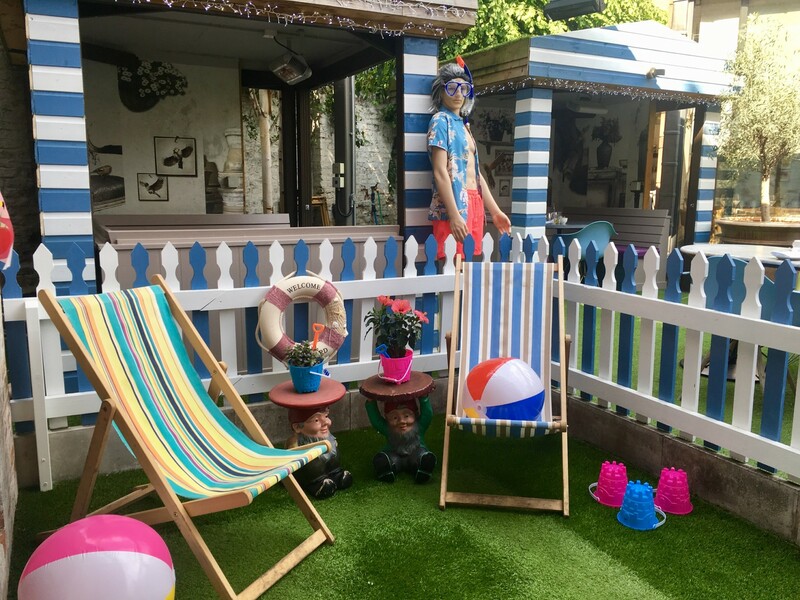 Quirky boutique hotel Oddfellows Chester is to launch a pop-up seaside resort in its secret garden area for the summer. The space, which will be named Oddfellows Goes Paddling, will be transformed into a British seaside theme, with bathing huts, beach-inspired cocktails, beach balls and buckets and spades. The chefs at the hotel are also tweaking the menu to continue the theme, with specially designed ‘Paddling Platters’ featuring crab cakes and mini fish and chips. ‘Oddfellows Goes Paddling’ was devised after the success of the boutique hotel’s winter pop-up bar, Oddfellows On The Piste, when the garden was transformed into a 1980’s themed après-ski bar. Oddfellows Goes Paddling will run from May Bank holiday launch party through to the end of the summer holidays.